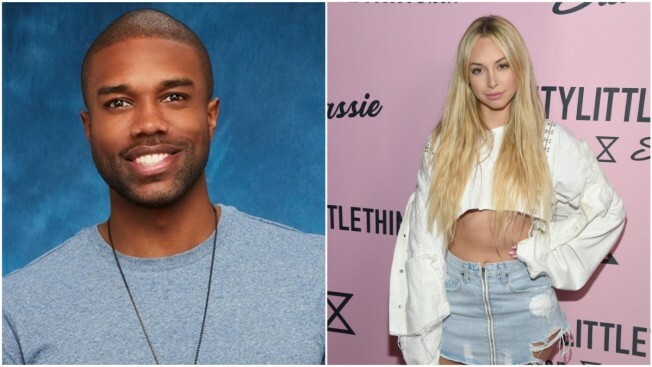 "I will be taking swift and appropriate legal action until my name is cleared"
DeMario Jackson is finally speaking out about the "Bachelor in Paradise" scandal. Following production being shut down on the ABC reality spinoff's fourth season due to "allegations of misconduct," Jackson, one of the contestants at the center of the incident under investigation along with Corinne Olympios, is breaking his silence in an exclusive statement provided to E! News. "It's unfortunate that my character and family name has been assassinated this past week with false claims and malicious allegations," the 30-year-old said in a statement. "I will be taking swift and appropriate legal action until my name is cleared and, per the advice of legal counsel, will be seeking all available remedies entitled to me under the laws." On June 11, Warner Bros. confirmed to E! News that production had been shut down on the Mexico set of "Bachelor in Paradise" after a producer filed a complaint questioning whether Olympios was able to give consent for a sexual encounter with Jackson. On Wednesday, Olympios broke her silence, issuing a statement about the incident after hiring high-powered Hollywood attorney, Marty Singer. "I am a victim and have spent the last week trying to make sense of what happened the night of June 4," she said. "Although I have little memory of that night, something bad obviously took place, which I understand is why production on the show has now been suspended and a producer on the show has filed a complaint against the production." Olympios' statement continued, "As a woman, this is my worst nightmare and it has now become my reality. As I pursue the details and facts surrounding that night and the immediate days after, I have retained a group of professionals to ensure that what happened on June 4 comes to light and I can continue my life, including hiring an attorney to obtain justice and seeking therapy to begin dealing with the physical and emotional trauma stemming from that evening." Warner Bros. issued a statement about their investigation into the allegations, saying, "We have become aware of allegations of misconduct on the set of Bachelor in Paradise in Mexico. We have suspended production and we are conducting a thorough investigation of these allegations. Once the investigation is complete, we will take appropriate responsive action."